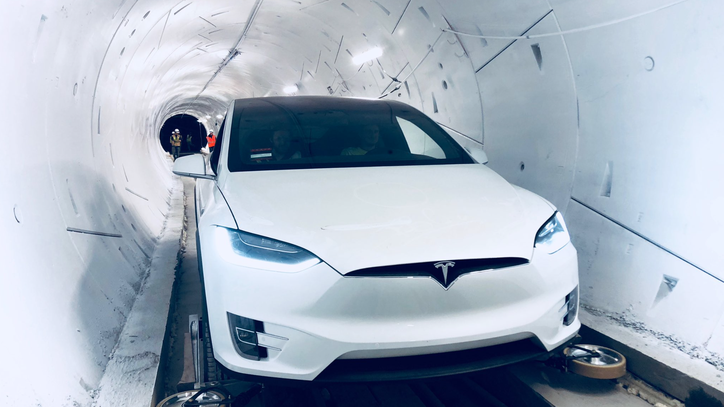 Elon Musk has unveiled the first tunnel from The Boring Company in what he hopes will become a network of underground highways to relieve traffic congestion. The tunnel runs between the headquarters of Musk’s SpaceX company in Hawthorne, California, and a parking lot behind a closed business. Before the Tuesday night event, Musk took CBS This Morning’s Gayle King for a drive (in a Tesla, of course) through the tunnel. Watch the video to see what it’s like riding inside the 1.2-mile long stretch.